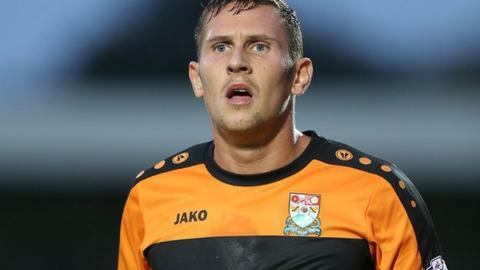 National League side Grimsby Town have signed Barnet striker Ben Tomlinson on a one-month loan deal. The 25-year-old joined the Bees from Lincoln in the summer, but has failed to score in five games for the League Two side. He scored 32 goals in 86 league games for the Imps and has also played in the top tier of non-league for Alfreton and Macclesfield. Tomlinson could make his debut for the Mariners against Tranmere on Friday.